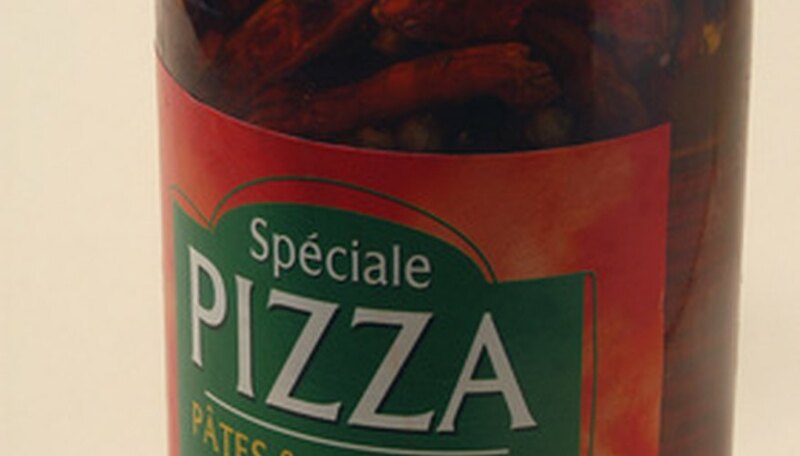 Labels for homemade sauces give the bottles a professional appearance. However, ordering them from a printer can be expensive and you may not be satisfied with the finished product. It is possible to make your own sauce bottle labels with label paper, a printer and a word processing application, such as Microsoft Word. Start Microsoft Word. The application will automatically open a blank page that you can use to create the label. Type the name of the sauce. Use the tools on the toolbar to enhance the appearance of the text. For instance, you can select a decorative font, increase the size, change the color and adjust its alignment. Insert a picture, if you wish. Click the area on the page where you wish to place the picture, click “Insert” on the toolbar and highlight “Picture.” Select “Clip Art” to use one of the images in the clip art gallery or choose “From file” to select a picture from your pictures folder. Print a test sheet. This will help you avoid wasting the label paper while you make adjustments to the label. Cut out the label and place it against the bottle. If the label looks too big, too small or does not fit the area on which you wish to place it then adjust the image and text in the word processing application. Repeat this step until you are satisfied with the size of the label. Place a sheet of label paper into the printer and print the label. If you are using a deskjet printer, you may have to wait a few minutes for the ink to dry completely before you can proceed to the next step. Cut the label. Peel the backing off the adhesive side of the label. Place the label on the bottle.